The Financial Times refused to run this ad. 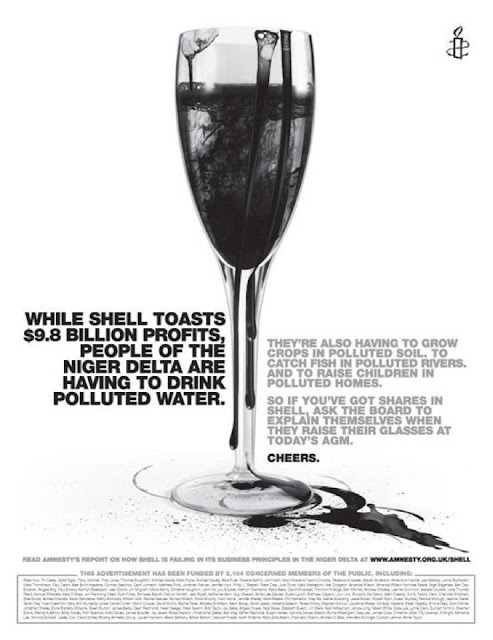 Please share as widely as humanly possible today to let Shell know they can't buy silence. This is also why we need to fight SOPA and PIPA. It may look like U.S. issue, but it has already had an impact here with giant Roadshow Films et al trying to sue small Australian ISP iiNet. However, the good news is that this time it lost., with the court concluding this week that iiNet was 'not responsible for bit torrent piracy' but the next company may not be so lucky. Old freedom fighters wore crusty battle fatigues and carried weapons. These days they may only carry a laptop, but the issues are just the same.